Location: Follows route of the Ohio & Erie Canal from the southern Summit County line to Rt. 212 in southern Stark Co., connects Canal Fulton south through Massillon to State Route Towpath Trail OH 212. From Cleveland, OH, take I-77 South. North of Canton, take EXIT 111, turning west onto Portage St. Upon arrival in Canal Fulton turn south (left) onto Rt. 93. Canal Fulton Canalway Center will be on the driver’s side immediately after crossing Canal St.
Alternate: I-77 South to SR 21. In Massillon, turn right at Lake Avenue Trailhead (stoplight). Hampton Inn available in downtown Massillon on Lincoln Way, a few blocks from the Towpath Trail. The Stark County, Ohio, section of the Ohio & Erie National Heritage Canalway has been designated the Congressman Ralph Regula Trail in honor of the Congressman who has championed its development as a recreational resource since the 1960s. 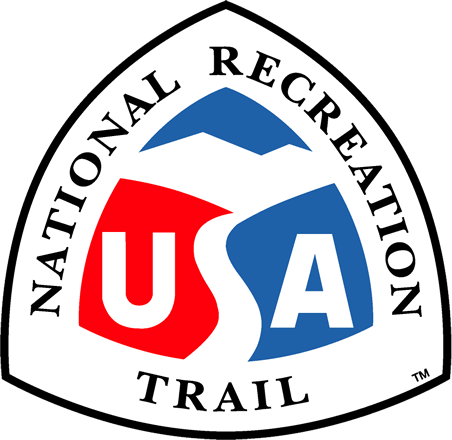 The 25-mile trail follows the route of the historic Ohio & Erie Canal from the southern border of Summit County to the southern border of Stark County, passing through the historic villages of Canal Fulton and Navarre, the City of Massillon, rural country-sides and forested areas. 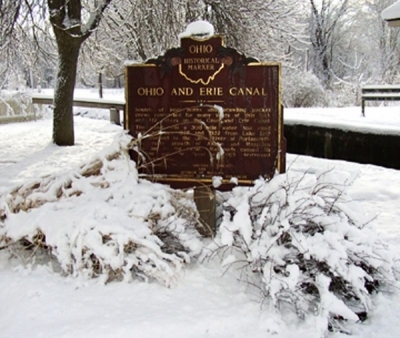 When the Ohio & Erie Canal opened in 1827, it was the first major canal west of the Appalachian Mountains. Along with New York's Erie Canal, it quickly became part of the most important superhighway system of its day. By connecting the Ohio frontier with New York and New Orleans, the Ohio & Erie Canal helped people and products flow across America, fueling westward expansion, a national market economy and regional industrial might. Today, the Ohio & Erie Canalway is a National Heritage Area. In Stark County it is a place to experience trails, a scenic byway, canal towns, rivers, industrial landscapes and green spaces, as visitors explore our past, present and future. In Stark County trail visitors can explore historic Lock 4 Park, take a ride on a replica canal boat, and visit at least four museums that highlight the history of the canal era in northeast Ohio. A large tunnel takes hikers, bicyclists, and horseback riders under an active railroad; on another section of trail they pass by an inspirational bronze bust of former Senator and astronaut John Glenn who encourages to "reach for the stars." Snow walkers. Photo by Stark County Park District. Canal Remnant. Photo by Stark County Park District. Lock 4. Photo by Stark County Park District. Frozen Lock 4. Photo by Stark County Park District. Towpath in fall. Photo by Stark County Park District. John Glenn Grove bronze bust. Photo by Stark County Park District. Canal boat and visitors center. Photo by Stark County Park District. Bikes on towpath. Photo by Stark County Park District.